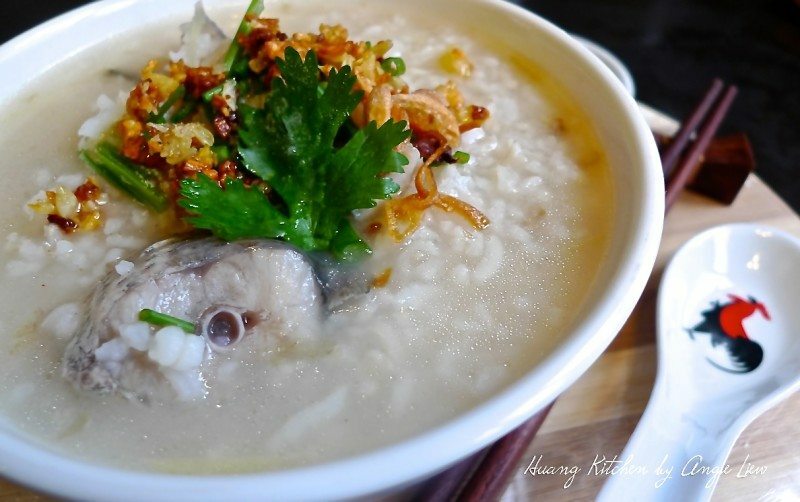 Teochew-style fish porridge is a little different from the common version. 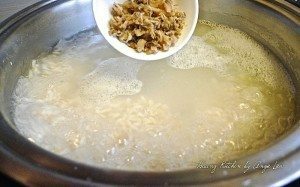 Whereas normal porridge requires a very long cooking time and results in a more liquid-like texture, Teochew-style is quicker to make and has a much firmer texture. 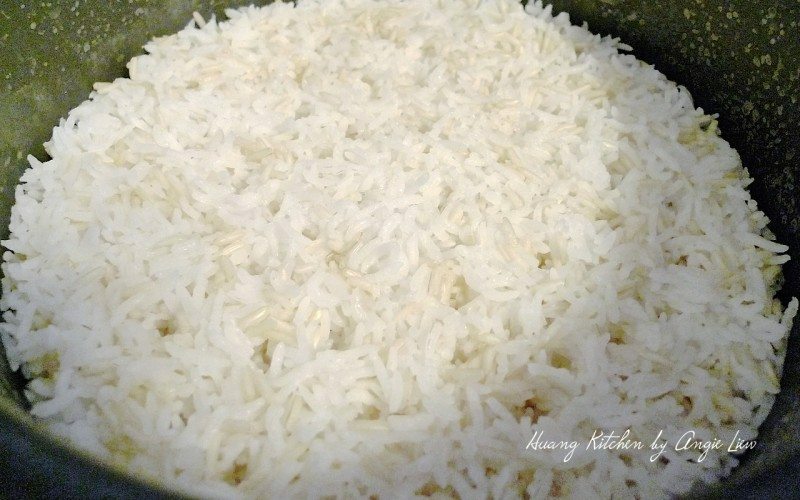 This super-quick version uses cooked rice. The secret to this delicious soupy porridge is using the freshest of fish. Teochew-style fish porridge is a little different from the common version. Whereas normal porridge requires a very long cooking time and results in a more liquid-like texture, Teochew-style is quicker to make and has a much firmer texture. This super-quick version uses cooked rice. The secret to this delicious soupy porridge is using the freshest fish. Clean and sliced fish into pieces. 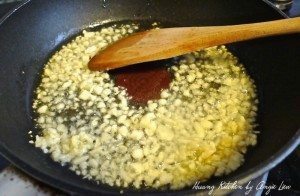 Marinade with soy sauce or salt (to taste) and sesame oil. 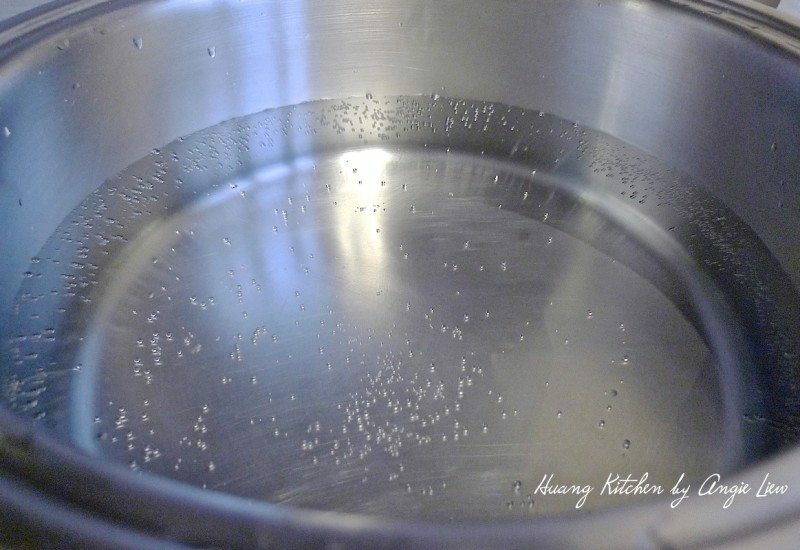 Bring water to a boil. Add in the cooked rice and fish. 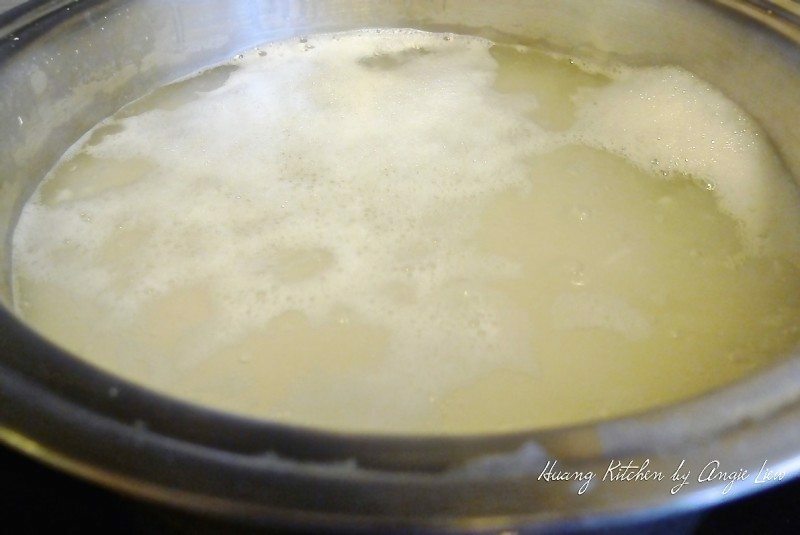 Continue to cook till boiling. Season with chicken stock, garlic oil and white pepper. Scoop the fish porridge into bowls and garnish with spring onions and coriander leaves. Serve with a dipping side of light soy sauce and sliced bird's eye chilli (cili padi). 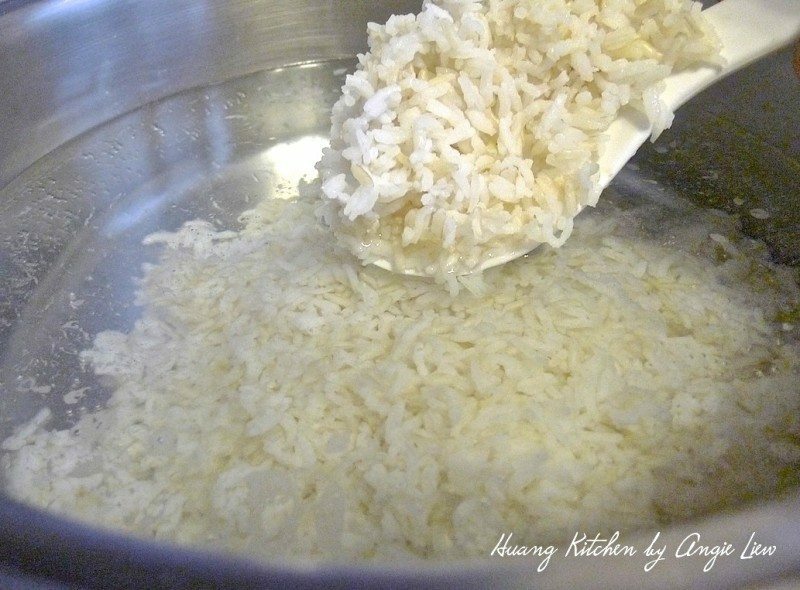 First, cooked 2 cups of rice. 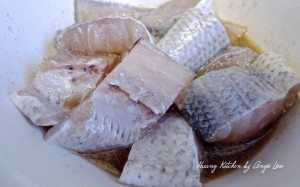 Clean and sliced fish into pieces. Marinade with soy sauce & sesame oil. Rinse, drained preserved vegetables and julienned some ginger. For garnishing, cut coriander leaves, chopped green onions and fry some shallots. 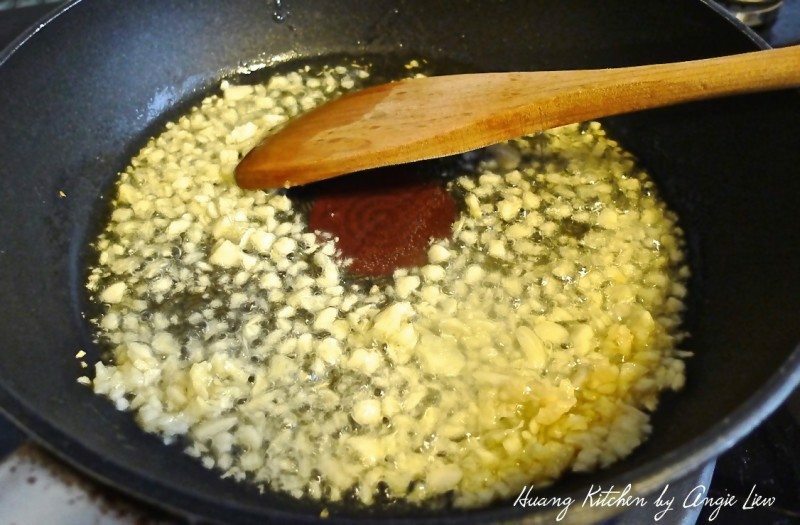 Fry minced garlic in oil, reserved crisps and oil separately after frying. Continue to cook till boiling. 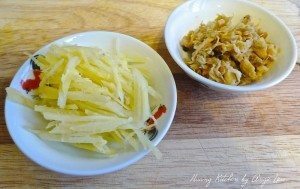 Add in the ginger strips. Then the rinsed preserved vegetables. Lastly, add in the marinated fish. 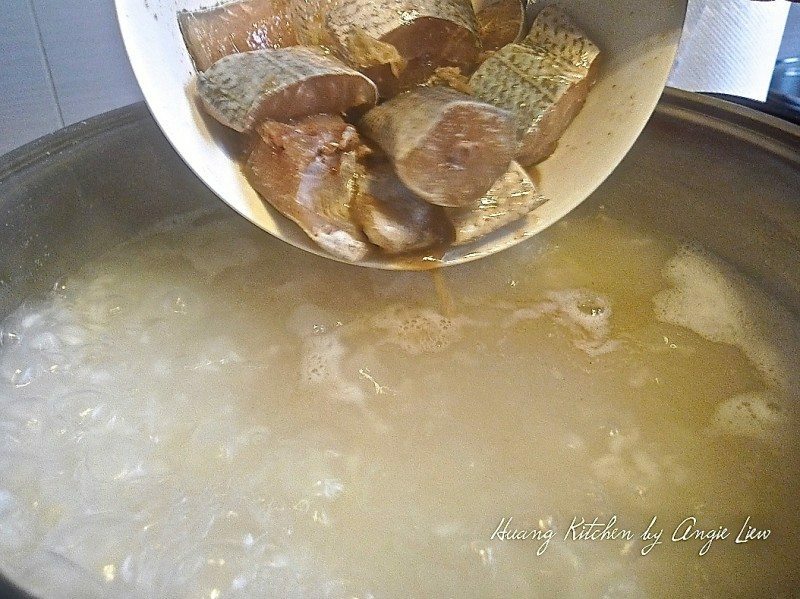 When fish porridge has come to a boil, season with chicken stock, garlic oil, salt and white pepper. Scoop the fish porridge into bowls. Serve hot, garnished with spring onions, coriander leaves, crispy garlic and shallots. Add a dash of pepper and season with soy sauce if necessary. 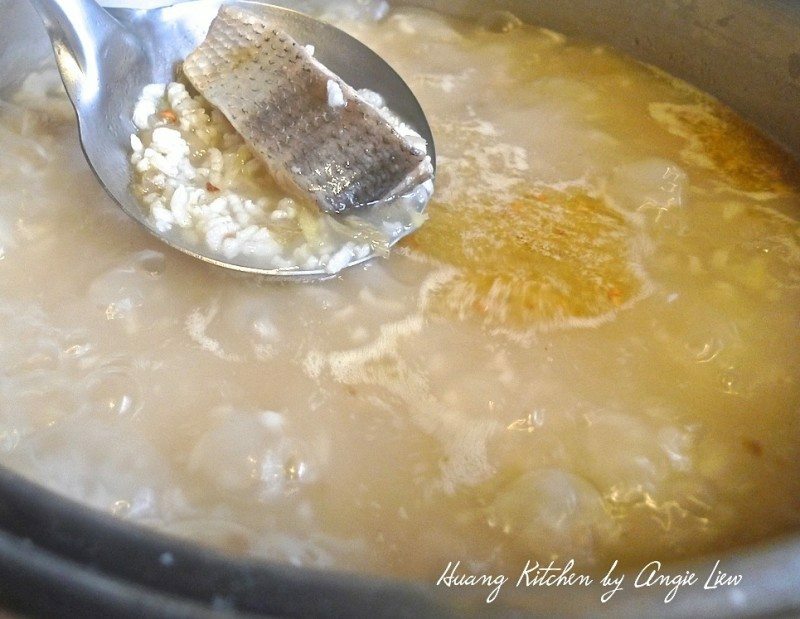 This dish, simple fish porridge teochew style is certainly my family ultimate comfort food.